Ahh, what can be said about the original Game Boy, that hasn't been said a million times before? This one handheld, released in 1989, completely revolutionized the handheld video game market. Before the Game Boy was released, there were literally hundreds of different kinds of handhelds, but they were the cheap, lcd screened systems that you would find in small discount stores. At first glance, the Game Boy does not seem like much, but when you pop in that Game Pak and boot on the system, you know that it is more than you expected. The Game Boy is vastly more powerful than lcd handhelds, and will probably last longer (which is true, seeing as how there are some from '89 that are still working flawlessly). 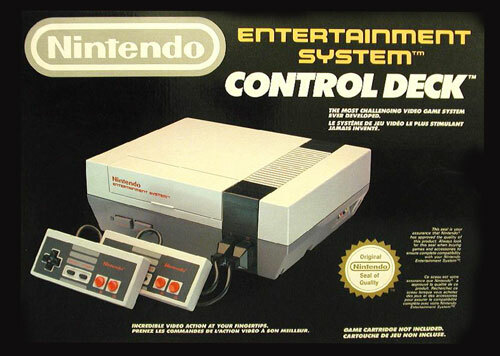 The system is instantly easy to use for any gamer who grew up playing the NES, as the controls are exactly the same as those on the NES controllers. Another thing, the system has a screen, but is green for some reason. This was also the first handheld that was able to link up to multiple Game Boys to play multiplayer games. Donkey Kong, Metroid, Tetris, Mega Man, TMNT, and newcomers such as Kirby).